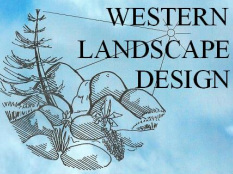 Western Landscape Design favors the "naturalistic" approach to landscape design - with an intention to imitate some of the nature so majestically created by God. 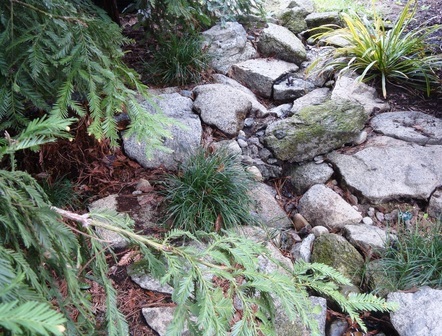 With this thought comes a preference for the "dry stream bed" within landscape settings. Compatible plant elements are chosen which will best fit to create a pleasant and enjoyable composition. Some situations exhibit a more formal appeal, and designs can comply with that requirement. Attention is also given to the beauty supplied by seasonal color changes with selected plant material, along with the use where appropriate, of California native plants - which trend toward drought tolerance.